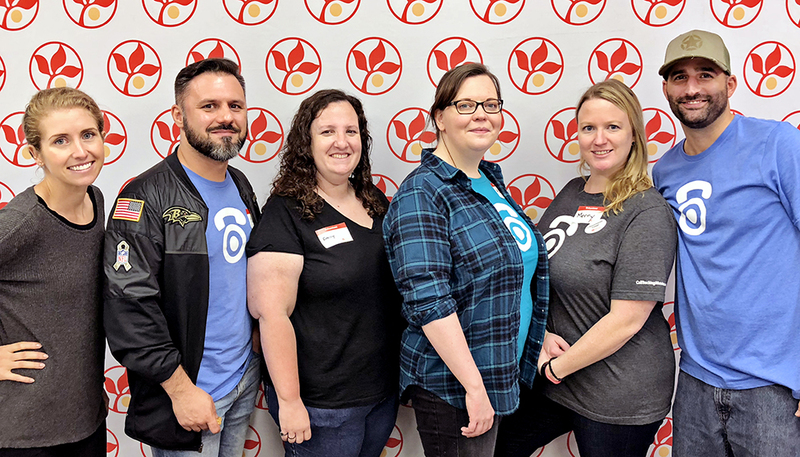 One of the ways to ensure that our teammates feel connected to our community is by reaching out to local charities and non-profit organizations. Not just by writing a check, but by spending our time and energy together as a team. The Maryland Food Bank is a nonprofit hunger-relief organization, leading the movement to end hunger throughout Maryland. For more than 35 years, the Maryland Food Bank has partnered with communities across the state to distribute food to individuals and families in need becoming the leading anti-hunger organization in the state. We learned that one in nine Marylanders is food insecure – meaning, they lack regular access to nutritious meals. 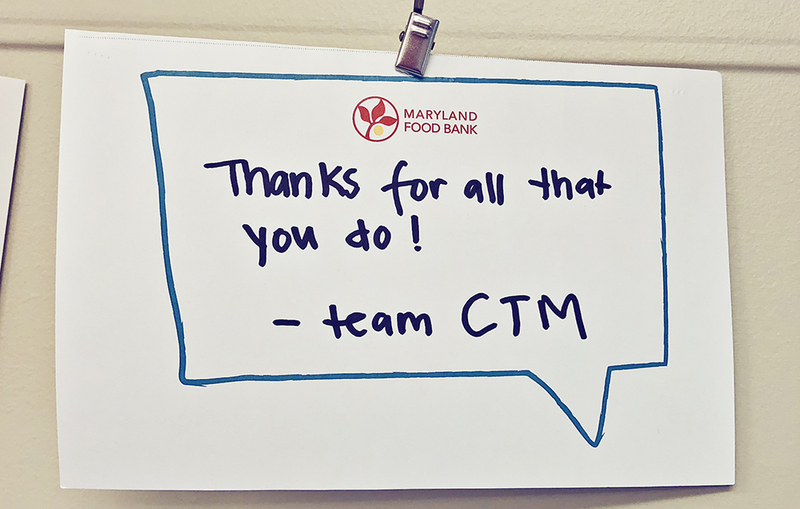 So this September our team members spent two days working at the Maryland Food Bank, helping to prepare fresh meals for needy children, and packaging shipments for local schools. We were so grateful for the opportunity to give back to such a great organization, which does so much for the vulnerable communities of our state. Consider volunteering your time at the Maryland Food Bank today!